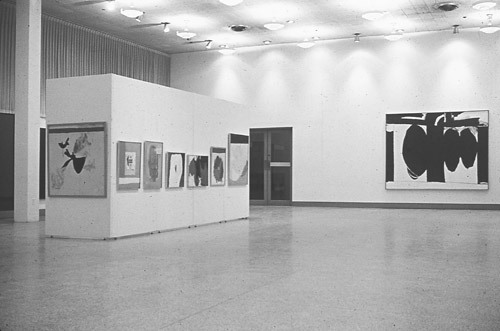 In June, Motherwell, Rothko, and Guston leave the Sidney Janis Gallery. Motherwell and Rothko join the Marlborough-Gerson Gallery, which is building the largest gallery space in New York at 41 East Fifty-seventh Street and will open in November. Motherwell and Frankenthaler spend the first summer in their new studio in Provincetown. The building, which he names the Sea Barn, has living quarters on the ground floor and two open floors for use as studios.